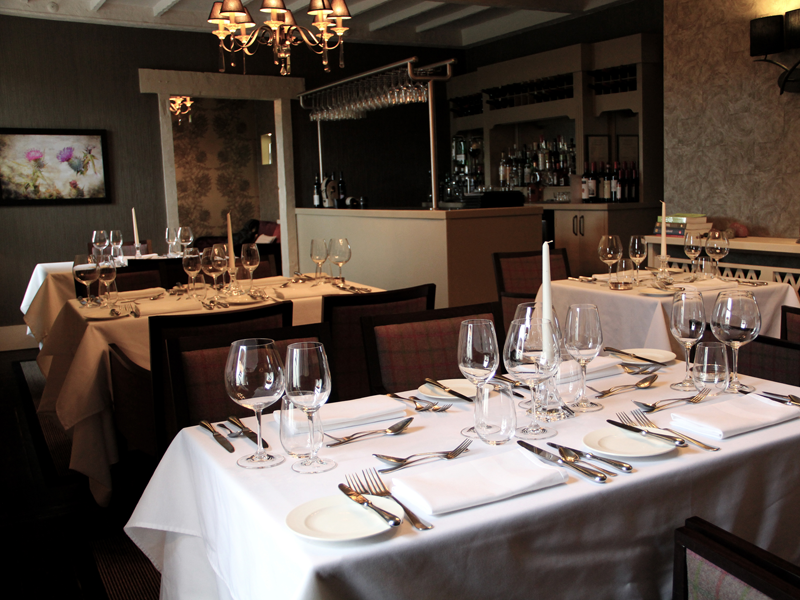 Gordon’s Restaurant transformed from a former dwelling house built in the early 1800’s, this beautiful Victorian building has been renovated with respect for the character of the old house. Dinning room with its exposed stone, beams and wood burning stove lit during chilly days is a dinning room designed with elegance and individuality, opulent chandeliers and lighting by Spanish designer Mantra. This 28 seat dinning room is for relaxed intimate cosy dinning in sage and grape colour tones with striking tones of aubergine and wallpaper design by Timerous Beasties. All complements the personal style of cooking, cooked simply and imaginatively. Slick artistic presentation and fine ingredients add up to superb tasting beautiful dishes. The service is welcoming and non-intrusive but with professionalism. 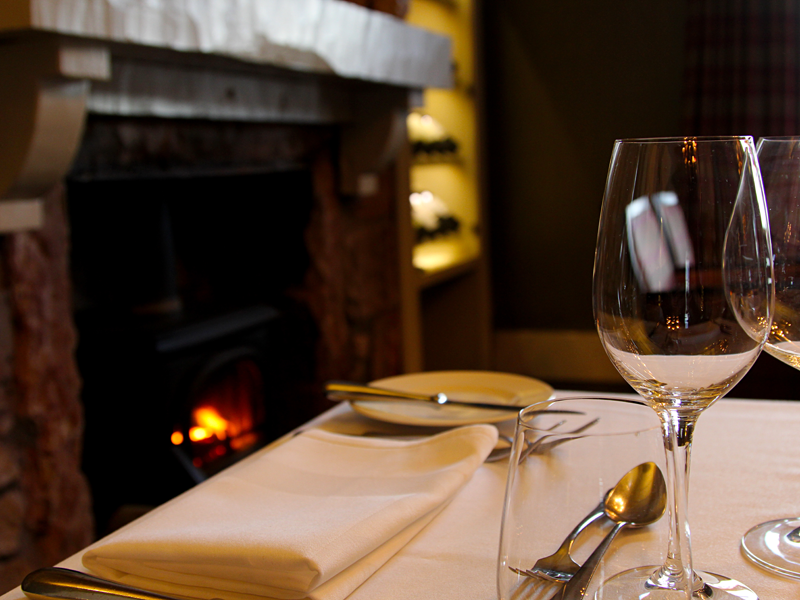 Exquisite food in a relaxed atmosphere. Our front of house team will put you at ease and guide you through our ever changing food and wine selections while our kitchen bustles to prepare each masterpiece. 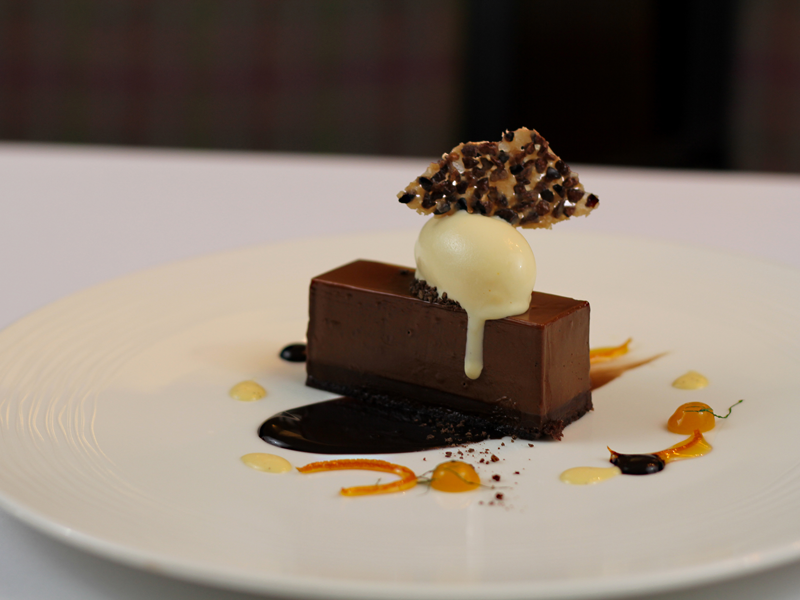 Gordons has not gone unnoticed as a fine dining location in Scotland for very good reasons. Presents modern British seasonal cooking, influenced by classic cooking techniques and pervious top quality ingredients available from Scotland’s abundant Natural larder. Fantastic food, Some of the best you will ever have tasted. Eating great food is a serious business when it's this good but thats no excuse to make it too formal! 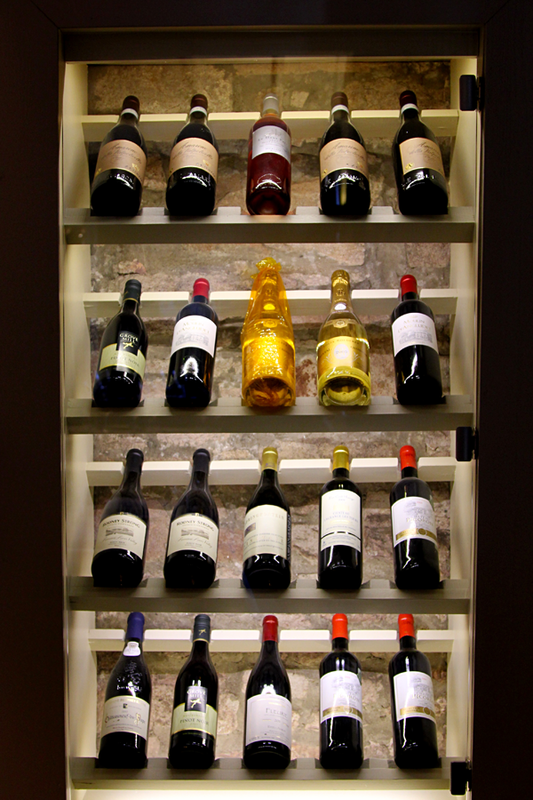 Whether its your first time eating at a fine dining establishment or you are a seasoned pro you will recieve a warm welcome, great service and expert advice to make your food and wine choice the right one for you.